hd00:12mother thompson gazelle nudges the baby to go to toilet. 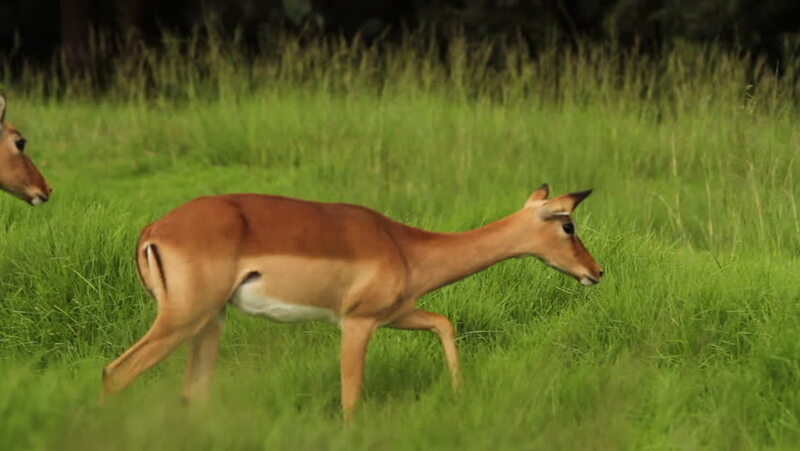 4k00:27Beautiful and elegant impala antelope strolls along the green grass of the savannah of Tanzania. Mikumi National Park. 4k video. 4k00:09AUSTRALIA - CIRCA 2010s - A kangaroo with a baby in its pouch grazes on grass in Carnarvan National Park, Queensland, Australia.